What if the way society sees cancer is skewed? Skewed by fear. By misinformation. By the age-old impulse to freight disease with meaning it doesn’t deserve. In the 14th century, it was the plague, sent to punish the impious. In the 19th century, it was tuberculosis, a blight on the morally weak. Since the 1950s, it’s cancer, the billboard for your secret sins. Not enough kale? Not enough exercise? What about that steak and frites with red wine last night? Personal lifestyle scolds will tell you that getting cancer is all your fault. Except, it’s way more complicated than that. Apart from a few really terrific carcinogens — tobacco, some viruses, asbestos, radioactive substances, x-rays, gamma rays, ultraviolet rays, toxins, genetic quirks — we don’t know exactly what makes a cell go rogue. And that means, despite all the advice to the contrary, we don’t have a recipe for preventing cancer. We know a little about reducing risks. And we’re learning more every day. By and large, though, it’s a function of age and luck. Cancer is mainly a disease of the old. Living a long time gives cells a longer time to mutate. Not only that, but in the developed world, we prevent or cure many of the diseases that used to kill people in vast numbers, through vaccination programs and antibiotics, heart medicines, pacemakers. What if we could reshape the metaphors we use to think and talk about cancer? What if we could strip some of the guilt and blame from the disease? 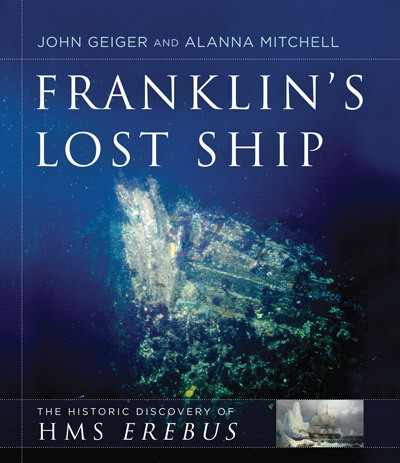 Franklin’s Lost Ship, co-written with John Geiger, is an account of the ambitious Parks Canada-led search — which involved the largest number of ships since the early 1850s — and the discovery, bringing readers onto the decks of Canadian Coast Guard ship Sir Wilfrid Laurier, the Martin Bergman and the One Ocean Voyager as the vessels sought to end the mystery. Plastic is ubiquitous in our modern lives – a $17.6 billion industry in Canada alone that makes everything from shopping bags to packaging to clothing. It’s made our lives much more convenient and until recently we haven’t thought much about the fact that we throw a lot of it away after just one use, let alone what happens to the plastic that finds its way into the world’s oceans. 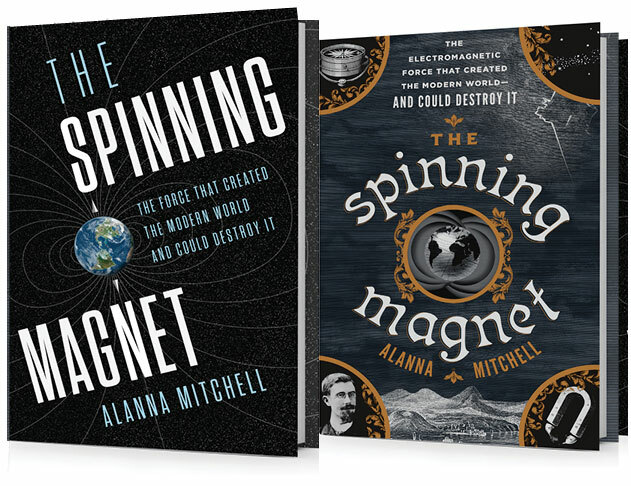 In Invisible Plastic, award-winning science writer Alanna Mitchell sets out on a quest to find out just what happens to plastic on the high seas. Her story is riveting, and essential reading for every concerned Canadian. To get the full story, simply go to stardispatches.com and subscribe for $1/week. “Invisible Plastic” is also available for single-copy purchase at starstore.ca or iTunes.ca/StarDispatches for $2.99. 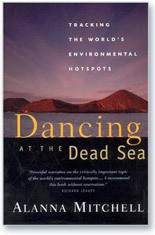 This book was published in Canada in 2004 and in the rest of the English-speaking world in 2005, winning international praise for its easily readable style. The World Conservation Union (IUCN) and the Reuters Foundation named Mitchell the best environmental journalist in the world in 2000 after an international competition. The prize was a fellowship at Oxford University, which Mitchell took up in the Hilary term of 2002, studying with the eminent ecologist Norman Myers.